The Middle East Respiratory Syndrome (MERS) virus that spread through South Korea last year underwent a mutation that could have affected its ability to infect people and the fatality rate, the government said Friday. The Korea Centers for Disease Control and Prevention (KCDC) said bodily fluid specimens taken from eight people infected with the MERS inducing coronavirus, showed signs of genetic mutation in spike glycoprotein when compared with previous documented cases. Spike glycoprotein is the element of the virus that can penetrate a living human cell and proliferate. The public health and safety agency said this could alter the capability of the virus to spread from person to person and its ability to make people sick. The revelation marks the first time the KCDC acknowledged a mutation had occurred. The respiratory disease that was first confirmed on May 20 and brought into the country by a person who visited the Middle East, claimed 38 lives before the government officially declared the country free of MERS on Dec. 23. A total of 187 people were infected overall, with thousands more placed under quarantine as a precautionary measure. In South Korea, the fatality rate of the disease reached 20 percent, which is not as high as the 30-40 percent numbers reported for past outbreaks. Most deaths in the country were of elderly people and those already suffering from underlying diseases. The KCDC said that compared with previous viruses, there were eight alterations to spike glycoprotein, with tests showing that the virus checked from samples even triggering changes in the cells of test animals. 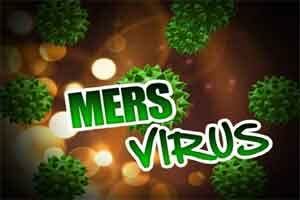 The latest discovery is seen as a sign that the mutation took place while MERS was spreading in the country. The agency said, however, that they cannot determine if the changes detected altered the way the virus spread. a state researcher said. He said that while the initial tests were conducted on a limited number of patients, research is underway to screen clinical specimens from 32 people that will help shed better light on the matter. Related to the findings that were posted in the January edition of the U.S. Emerging Infectious Diseases magazine, Paik Soon-young, a professor of microbiology at the Catholic University of Korea, said the spike glycoprotein mutation is important and can explain why the MERS disease, which was not overly infectious in the Middle East, spread so quickly in South Korea. “There is a need to focus the country’s research capability on finding the reason for the change,” he said.